秀のブログ Favorable judgment in the Court of appeals of Toru Goto! Favorable judgment in the Court of appeals of Toru Goto! Tokyo High Court instructed defendants Miyamura Takashi, conversion activists, Christian Pastor Matsunaga and Mr. Goto’s 3 family members to pay 22 million yen ($200,000) on 11/13/2014, 2:30 PM. In a Tokyo High Court ruling, Mr. Goto was kidnapped in Niigata City apartment taken in by wagon from his home in Tokyo 9/1995, and 2/2008 he was released from the apartment building in Ogikubo, Tokyo. 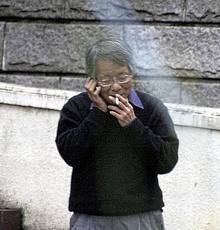 This lasted for 12 years and 5 months, the court stated that Mr Goto had been 'imprisoned' and illegally limited on freedom of movement. Pastor Matsunaga understood that it was illegal for the family to kidnap Goto but continued to try and convert him against his will. Miyamura also assisted in restraining Goto and attempted to convert him. The defendant used the case that this is an issue between a child and their parents. The court disagreed, and decided this was illegal kidnapping and all future cases of this type will not be ruled as such. "Mr. Toru Goto comments "
I was just watching the same ceiling and wall, from 31-years-old until the age of 44, for 12 years and 5 months, daily. Last 10 years I was in an apartment building in Ogikubo, Tokyo, which was a very busy area. The society in Japan can not completely understand the situation that has occurred, but kidnapping and professional converting has been occurring over the past 50 years. Over 4,300 people are victims of this type of crime. Some men have tried to flee by jumping out of a 6 floor apartment building and other women were driven to suicide. I want to bring awareness of this situation and crime to the public. Through my trial, I want many people to learn about others are going through the same situation.